Churches and pastors, however, may request legal advice free of charge regarding a particular situation by contacting Alliance Defending Freedom at 1-800-835-5233 or www.AllianceDefendingFreedom.org. Every pastor and church can be and must be politically engaged. However, many fear the threat of the IRS or some other government agency if they do get involved. 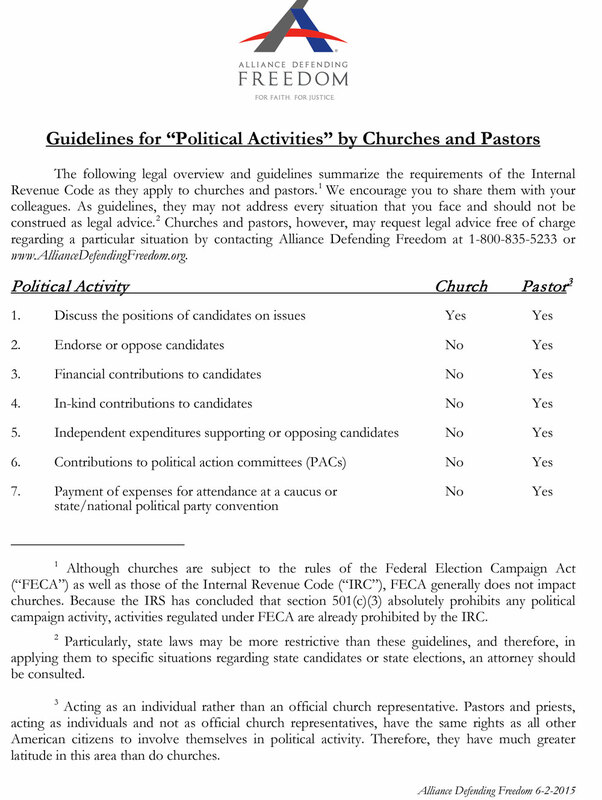 Here is an invaluable resource – donated by the Ted Cruz campaign and “Alliance Defending Freedom” Organization – to educated what role pastors and churches are able to take.